TV Listener J3 allows you to watch TV and movies without bothering others. The wireless headset has a range of 33 feet, leaving you plenty of room to sit in your favorite spot. Being wireless creates a lack of tangled cables and potential tripping hazards. Designed with comfort in mind, the headsets feature padded ear pads, swiveling ear pieces, and a self-adjusting headband. These allow a custom fit for optimal comfort. The headsets are designed to be compatible with hearing aids, too. In addition, each headset has its own volume control. This allows each listener to be in their individual comfort zones. 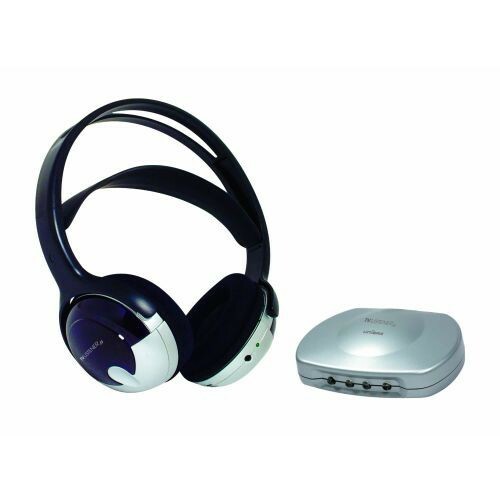 Also, the wireless system comes with two rechargeable AAA batteries for the headset. On a full charge, they can last for over 15 hours uninterrupted. The J3 comes with adapters to allow connection to most televisions and sound systems. Vitality Medical carries additional headsets for the J3 System as well. Let your friends join in on the movie while your roommate sleeps in the next room.